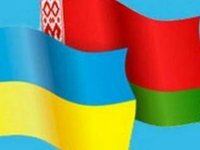 The 19th meeting of the Joint Ukrainian-Belarusian Demarcation Commission was held in the town of Zhytomyr from November 6 to November 8, during which participants discussed the progress of field demarcation work and installation of border signs along the state border this year. "By joint efforts, the Commission was able to approve about 400 acts for determining places for the installation of border signs and discuss the main provisions of the draft plan for the demarcation of the state border between Ukraine and the Republic of Belarus for 2019," the press service of the State Border Service of Ukraine said on Tuesday. Participants in the meeting also paid attention to the demarcation of the state border in the exclusion zone of the Chornobyl nuclear power plant and the creation of a joint geodetic control network.